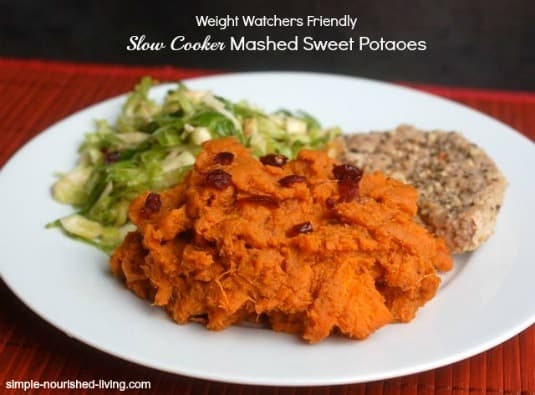 Cubed sweet potatoes slow cooked with orange juice, cranberries and just a bit of butter and brown sugar until tender, then mashed all together right in the crock. They would be a delicious addition to your turkey dinner. Or a yummy side dish any time of year. These slow cooker mashed potatoes with cranberries are a light and tasty alternative to traditional mashed sweet potatoes made with butter and cream. We had them for dinner along with a simple shredded brussels sprouts salad and turkey burgers. We both loved the tart contrast provided by the cranberries and orange juice. 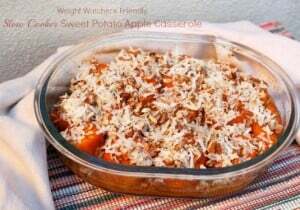 If, like my mom, you find the taste of sweet potatoes “too sweet” this may be a perfect dish for you. According to my calculations each serving has 141 calories and *4 Weight Watchers Points Plus. Enjoy! Slow cooker mashed potatoes, a perfect side dish for turkey, chicken or ham, will make a delicious addition to your holiday table. Coat your slow cooker with nonstick spray. (I used my 2-Quart.) Place the orange juice, butter, brown sugar, cinnamon and cranberries in the slow cooker and stir to combine. Cover and cook on HIGH while you prepare the sweet potatoes. Add the potatoes and stir to combine. Cover and turn the slow cooker to LOW. 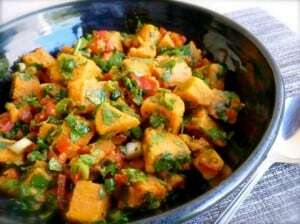 Cook on LOW, until the sweet potatoes are very soft, 4 to 6 hours. 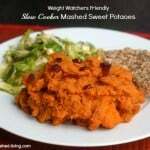 Mash the sweet potatoes well. If they seem too dry, stir in a little more orange juice to achieve desired consistency. Serve or hold in the slow cooker set to warm for up to one hour. 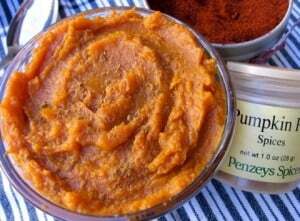 *PointsPlus® for slow cooker mashed sweet potatoes calculated by Simple Nourished Living; Not endorsed by Weight Watchers International, Inc.
to products I like. When you buy something through one of my Amazon links, I receive a commission that helps support this site. Thanks for your purchase! 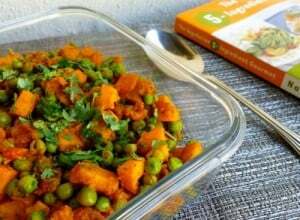 Can this be baked in the oven using canned sweet potatoes?